Actress Jennifer Lawrence graces the Spring 2018, Issue #22 cover of Dior Magazine. 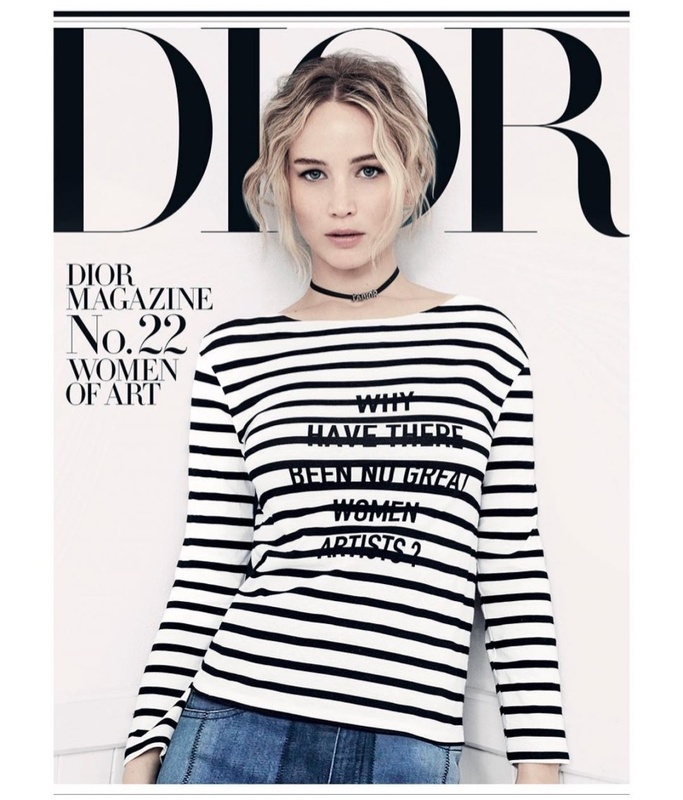 The face of the French brand since 2012, Jennifer wears a striped shirt from the brand’s spring collection. Reading: ‘Why have there been no great women artists?’, the shirt gets paired with a choker necklace and jeans. For the accompanying shoot, the ‘Red Sparrow’ star embraces minimal styles captured by Brigitte Lacombe.